In the Victorian period, women didn’t show off their shoes, and they were generally hidden under their long skirts. There were two main types of day-wear shoes worn by women for the appropriate occasion: the boot, and the slipper. 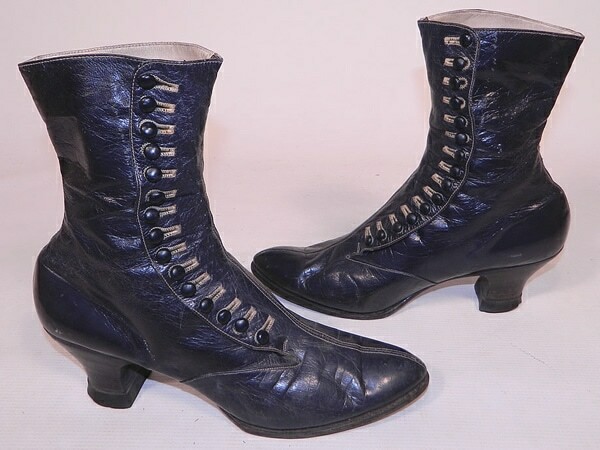 Boots were the workhorse of the Victorian-era women’s shoes. 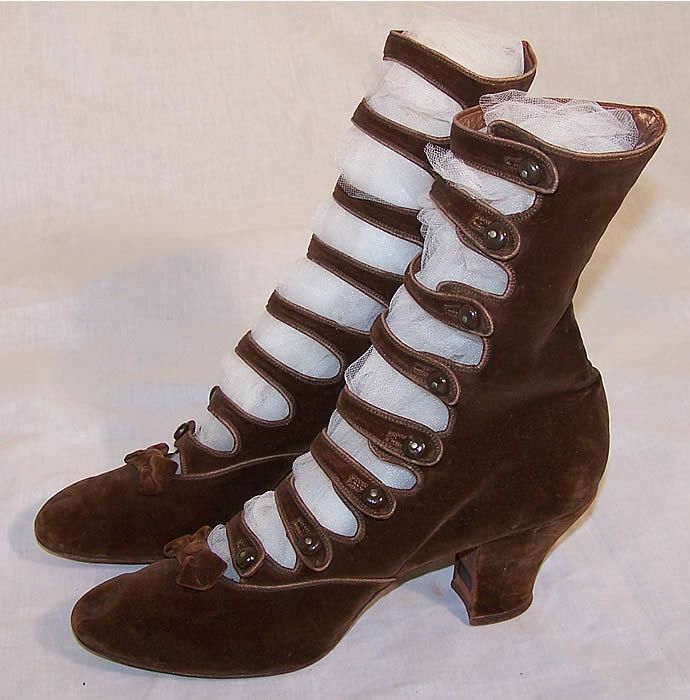 The boot could be made from hard leather and was worn by working women (of all classes) during the day, or could be made from more luxurious materials to create a riding boot or festival boot for the aristocrats and middle class women. The boots could be laced or buttoned. Even my cat Felix has buttons on his boots.